Barrel Extension in rear with M4 feed ramps... Gas port opening at carbine length. It has a .750 gas block diameter. Barrel is ready to install into receiver. All parkerized barrels start with 4140 Gun Barrel quality steel. Heat Treated and Stress Relieved to a hardness of Rockwell C 28-32. 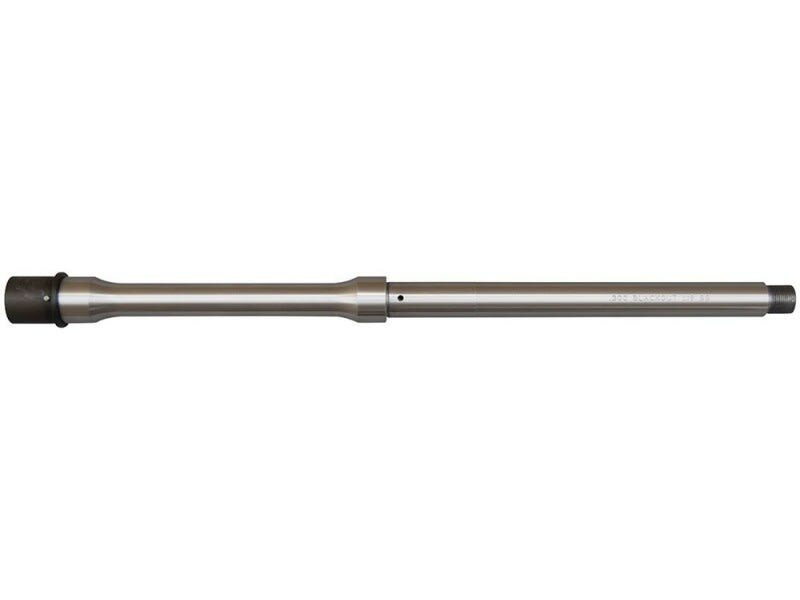 Or we use the 416 Gun Quality Stainless Steel for our Stainless Steel Barrels. each barrel is manufactured to exacting tolerances on modern CNC equipment to completely machine the barrel. We drill, ream, rifle, turn, chamber ream, pin the Barrel Extension, drill the gas hole, and mill the flutes, all on late model CNC Equipment. The Barrels are manufactured under the ISO 9002 Quality System, and each barrel goes through a Final Inspection before shipping.